1) Quizzical Papist. It is your "Extraordinary Form" bar trivia. Fr. Asks the questions, hopefully you have the answers. 2) Coffee Talk. Fr. Brad's homilies or other interviews and pondering about where the Faith meets the world. Fr. Brad talks with Adam Trufant about Judas and answers a listener question. How should we approach Jesus' hard words about Judas wishing he "were never born.?" Fr. Brad uses the examples of three unlikely converts to expound upon the Gospel of the Prodigal Son. Fr. Brad answers finally answers a listener submitted question in the form of the 2nd installment of a mission he gave at a local parish. The 1st Sunday of Lent always presents Jesus' battle with Satan in the Desert. Jesus doesn't need what Satan is trying to sell Him. Neither do we. In Fr. Brad's final installment of his series on Black History month he highlights the life and example of St. Josephine Bakhita. Homily about weeping in response to the law and commandments of God. Fr. Brad & Grace break down their March For Life experiences and comment on the Covington Catholic incident. Fr. Brad's Epiphany Homily. We're not the center of the universe. The Lord is! QP - 017 - Christmas Special with Fr. Josh Johnson et al. CT - 010 - Sufjan Stevens and his "Christmas Unicorn"
CT - 005 - Jesus Brings The Fire? Fr. Brad discusses the seeming contradiction between Jesus' statements of Peace, and his, let's say, "more harsh" moments. How can we receive both? QP - 012 - Take The Gun, Leave The...Calzone? This past Labor Day weekend, Fr. Brad tackled the controversy about what place works have in our salvation. Get it? Labor Day! Yeah... that's what I thought. QP - 010 - Can You Repeat The Question? 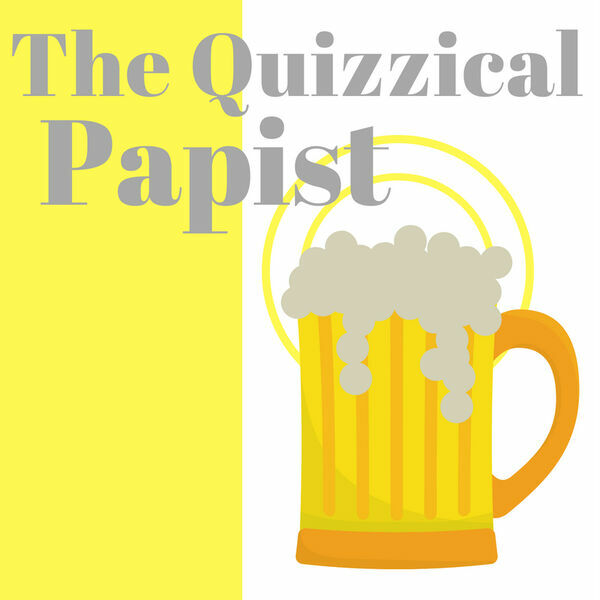 All content © 2019 The Quizzical Papist.